Wednesday morning update: Morrissey announced the cancellation of the entire tour on Tuesday evening. 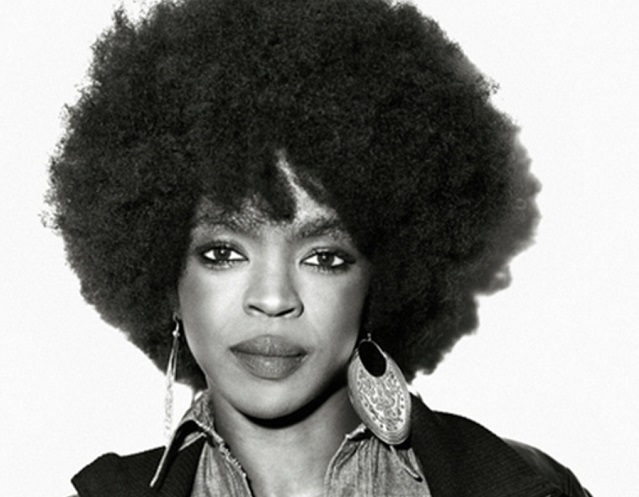 “It is with great sadness that the remainder of the U.S. Tour has been cancelled. The respiratory infection Morrissey contracted in Miami has worsened, and in the interest of making a full recovery, all further touring plans have been halted. Morrissey thanks his fans for their compassion, understanding, and well-wishes during this difficult period as he recuperates,” according to a statement on his official Facebook page. As every Morrissey fan undoubtedly already has heard, the Man from Manchester has rescheduled tonight’s performance in Baltimore and tomorrow’s performance in DC for dates two weeks later. Shortly before the cancellation announcement, I.M.P. 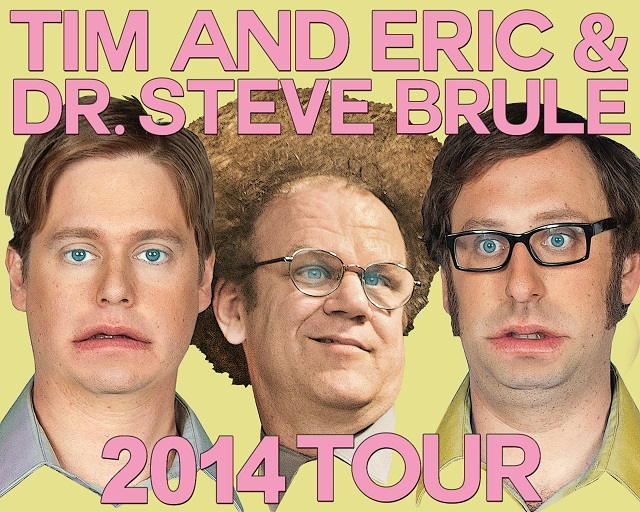 announced the availability of more tickets for the previously sold-out Baltimore show. As of this moment, there are still tickets remaining for that show on Tuesday, June 24. It’s definitely worth considering, as refunds will be made available if Moz cancels the date. The show at the Lincoln Theatre also had been sold out, but the rescheduling apparently has freed up tickets as refunds are issued for those who cannot make the new date. So if you were thinking of going to see Morrissey at the Lincoln on Wednesday, June 25 (and even do so in a general admission show), now also is your chance! Moz of course is promoting his new album, World Peace Is None of Your Business, on this tour. Above he appears in a promo with Pamela Anderson for the album. In an apparently unrelated development, opening act Kristeen Young has left the tour. Morrissey performed in Boston on Saturday, June 7, without an opener. Everybody over 30 likely recognizes the lyrics to “Baby, I Love Your Way,” arguably the biggest hit from English guitar hero Peter Frampton. 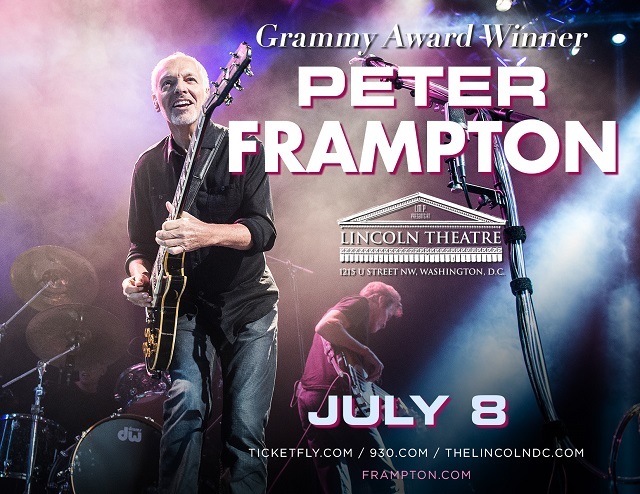 And arguably, Frampton will play this classic, which itself turns 40 years old next year, when he comes to town on July 8 to perform at the Lincoln Theatre in DC! A glance at recent setlists by Frampton reveal that he plays his own classics as well as occasionally some surprising covers, like “Black Hole Sun” by Soundgarden? And “While My Guitar Gently Weeps” by the Beatles. Those of us who have the young Frampton (circa his hit live album, Frampton Comes Alive!) stuck in our heads may recall that he has an association with the Beatles through his performance with the Bee Gees in Sgt. Pepper’s Lonely Hearts Club Band. Steve Hackett first revisited material by the prog-rock band Genesis in a 1996 album of reworked songs by the band. And in 2012, he did it again, recording lush guitar solos with various guest singers who reinterpreted selections from the six classic studio albums Hackett made with the band. 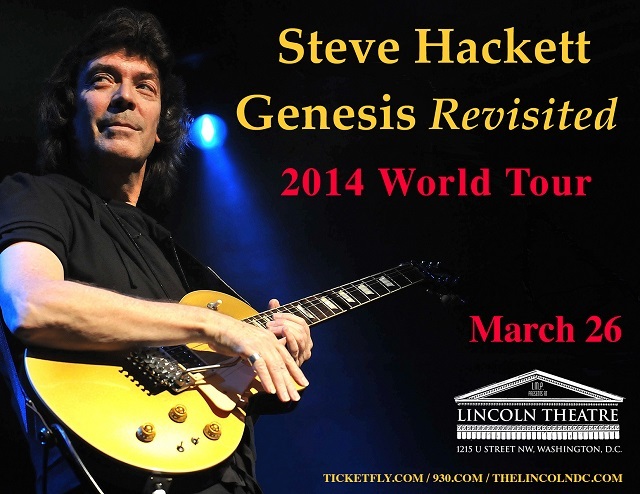 Hackett is taking Genesis Revisited II on the road starting with a date in D.C. on Wednesday, March 26 at the Lincoln Theatre. It’s a rare stateside opportunity to see a guitar master in his element, playing the songs that put him on the map. After all, he’s likely to revisit guitar classics like “Horizons” (from Foxtrot) and “Dancing with the Moonlit Knight” (from Selling England by the Pound). According to his Wikipedia entry, Hackett refined several guitar techniques for the age of classic rock, introducing tapping and sweep picking to a new genre of songs. The end result sounds great on the recordings, which manage to capture a bold mystic and occasionally romantic sound. But let’s not put our stock in critics and recordings. Let’s go see the man himself and hear him live. 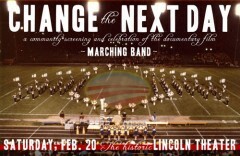 This Saturday, February 20, at 6pm, the Lincoln Theatre will host a FREE, one-time screening of Marching Band, a documentary that captures the spirit of the 2008 Presidential election through the young and talented students of the University of Virginia and Virginia State marching bands.